Perhaps, you have a large yard or an extra space in your backyard....why not convert it into something useful? 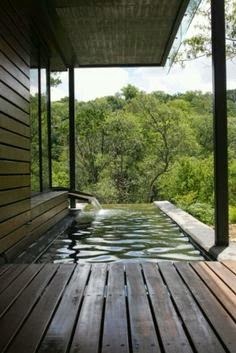 Having an outdoor tub would definitely be an excellent addition to your yard. This does not only provides alternative for a quick shower, this too could be very useful if you have small kids who would like to play around and get dirty anytime of the day. They could straight away take their shower at an outdoor tub. 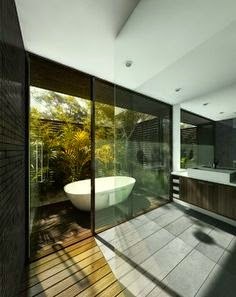 Whatever design you choose for your outdoor tub, remember that it doesn't have to cost you a fortune. 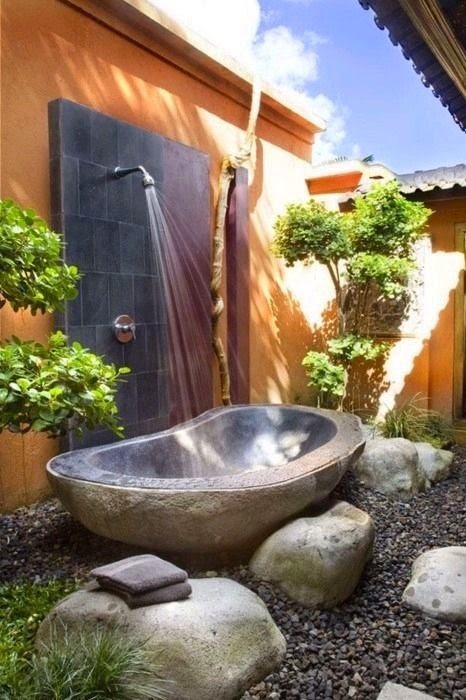 All you need is a creative mind to visualize what would be best for your backyard. You could choose the simplest one using not so expensive materials. The secret here is adding personal touch and color. You may use a cheap tub and a simple shower fixture but just add some elements like plants and stones to complement your outdoors. Perhaps, this could also be a weekend project with your loved ones. 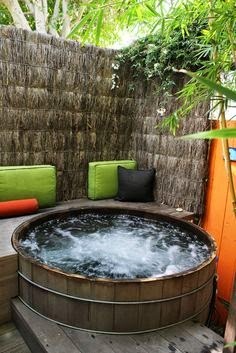 Have fun and and test your creativity by building your own outdoor tub.